The Deloitte offices stand in 2 New Square on October 2, 2018 in London, England. 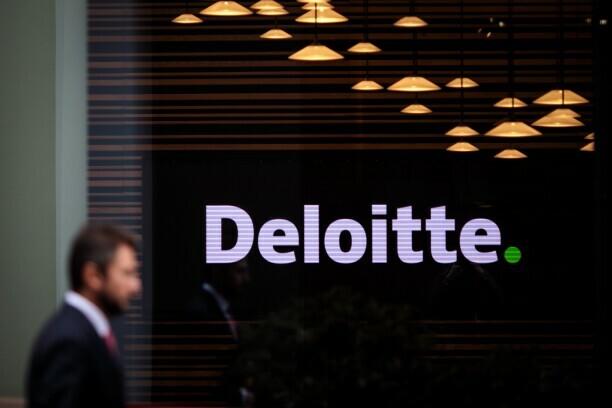 Global law firms are turning the tables on the Big Four accounting firms’ incursions into the legal industry by setting up consultancies that assist clients with non-legal matters. Top law firms such as Hogan Lovells and Dentons have branched out with new units that help clients manage cyber risks, provide intelligence and security assessments, boost crisis communications, and develop new forms of legal technology. The new groups—some of which are designed to compete directly with Big Four offerings—are allowing firms to go after multifaceted client projects that include both legal and business elements. Law firm leaders and Big Four bosses offer several reasons for the new emphasis. Revenue at many firms has been slow to rebound from the Great Recession. Forces like technology and alternative service providers also are threatening the traditional law firm model. But the key reason may be that clients are increasingly looking for their outside firms to be a one-stop shop. Overseas offices of the Big Four—KPMG, PricewaterhouseCoopers (PwC), Deloitte, and EY—though still barred from opening stand-alone practices in the U.S., have been growing legal services offerings throughout Europe, Asia, Latin America, and the Middle East. And the Big Four may someday break through regulatory and state bar rules that prevent them from offering U.S. legal services. Each of the Big Four firms has boosted its legal firepower in recent years. In a 15-year period ending in 2016, Deloitte doubled its attorney corps worldwide to 1,800, and now offers legal services in six times as many countries. It recently announced a plan to open a 25-lawyer practice in Hong Kong, according to news reports. And just a few weeks ago, a KPMG leader confirmed to the British publication Legal Week that it’s set to almost double its global legal arm in the next few years. Several big law firms have stood up consultancies in recent years, including Hogan Lovells, Dentons, Bryan Cave, K&L Gates, Duane Morris, Winston & Strawn, and Mayer Brown. These groups usually are made up of a combination of lawyers and non-lawyer professionals, including public relations experts, former U.S. intelligence officers, and cyber consultants. Hogan Lovells now has four consulting groups under one umbrella, including groups that advise clients on cyber risk services, strategic communications, and transfer pricing and economic valuation. The groups, each in their first year, include 18 new employees total. Though he said Hogan Lovells Solutions opened in large part to meet client needs, Hogan CEO Steve Immelt told Bloomberg Law that “it’s on some level a hedge” against the Big Four. The Solutions groups are still in the early stages, he said—but could become a scalable part of Hogan’s overall business model that would compete directly with the likes of PwC and KPMG. The transfer pricing group, for example, offers “a different type of thinking and analysis” from that provided by the Big Four, he said. Nextlaw—a consulting arm wholly owned by Dentons that’s been in operation since 2015—includes a legal technology and innovation advisory group; a venture capital fund that focuses exclusively on legal tech startups; and a group that helps corporate general counsels’ offices improve relationships with outside counsel. Dentons’ current venture portfolio includes 10 companies. Apperio, for instance, creates smart-analytics dashboards that provide law firms and clients with fee transparency. In the year since the consulting group for in-house counsel began its work, demand has shown there’s “been an extraordinary need for a strategic consultancy” in the field, Dentons partner Chris Pinnington told Bloomberg Law. The main driver has been the gap between client expectations regarding innovation, and the perception that outside counsel have been innovating too slowly. “Our goal is to get us on the same side of the page as the client,” Pinnington said. The Big Four, for their part, don’t seem intimidated. Grossmann, as well as two Deloitte leaders—Piet Hein Meeter, global leader for legal services, and Meghann Kelley, a legal management consulting leader—told Bloomberg Law that Big Law and the Big Four in fact often augment each other. Firms regularly hire Big Four companies to digest data while working on large transactions, they said. “The reality is that it can be a very complementary relationship,” said Kelley. Yet one top firm in the U.K—where law firms face the threat of the Big Four more directly than in the U.S.—takes a decidedly different view. Eversheds Sutherland’s consultants last year earned the firm 26 million English Pounds. Eversheds consultants are often non-lawyer compliance and technology experts, firm partner David Boyd told Bloomberg Law in a written statement. Those businesses were built while keeping the Big Four in mind, he said.